You can learn a lot from your fellow bloggers. How to be kind and generous, how to contemplate what is important in life, how to be happy. Two people were very kind and generous to me today and I am thrilled. Thank you so much you two lovely people. I am delighted! I’d like to mention a post that I read the other day by one of my favourite bloggers. Caroline is an artist and creates extraordinary drawings and stories about her life. If you haven’t ever visited her blog before I highly recommend it. The other day she did this post about Barack Obama. I have been thinking about it ever since. For me, Caroline is a breath of fresh air in a cynical world. I urge you to pop over and say : Hello! Some people believe being happy comes down to fate – it is your destiny to either be happy or unhappy. Some people believes it comes down to a matter of choice, in the way you look at things. I do think it is possible to look at the good things you have in your life and be thankful for them which perhaps, is the first step towards happiness. Happiness can be found in the little things. That’s the type of contentment I am after. See what a wonderful world of blogging it is out there? I think it really does make the world go round. Some excellent reflections there, Selma. As to the end of the world, I think I would be the same as the woman. Although delete ‘hoeing’ and insert ‘a beer or two’. May as well celebrate what’s left of the world in my usual style. Congratulations on your awards….you deserve them! 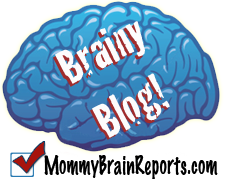 I was a little sad that all the blogs I’ve looked at lately seem to be slinging what seems to be unsubstantiated mud at Barack Obama, Joe Biden, John McCain, Sarah Palin and those who’ve ever had anything remotely to do with them. Reading your blog, and hearing about ones that take a more positive slant on things cheers me no end! i’ve only recently discovered that being happy is a choice, and you can retrain your brain to give yourself a better life. luck has a lot to do with how things happen in life; choices come in as to how you react/deal with it. I love that quote, I know that place. I need to be there more. YAY. Congrats on your awards. 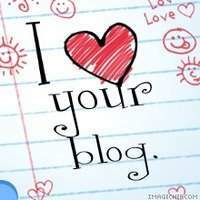 I love your blog too. A LOT. ANTHONY – amen to that. I would substitute good French champagne and something savoury. And just chat and laugh. The only way to go, I think! HILLY – awww, thank you, hon. That means a lot. TRAVELRAT – there is a lot of mudslinging at the moment, isn’t there? I think people are really anxious about the outcome of this election. Yet sometimes it’s nice just to sit and listen to the wind in the trees. Or drink champagne. LOL. L’URAGANO – thanks for visiting again. I have tried to visit you but your link doesn’t work. I will try again. You are right. That is an excellent way to look at happiness. Some of the happiest people I have ever met had very little in the way of material things, yet they beamed. It really has made me think about the true nature of happiness. NAT – oh me too. I get in a rut sometimes where I just focus on all the things that are going wrong. But just as many things are going right and somehow I always get by. I think that alone is something to be happy about! MELEAH – well you know the feeling is mutual. Your blog is just wonderful. So are you! It’s certainly true that some people get dealt a better hand than others which can obviously effect one’s happiness. I think it is also true though that we do have a lot of influence over our own happiness just by the way we choose to react to what happens around us. There are definitely choices in life. GYPSY – I agree with you about the hand we are dealt affecting our happiness. That is definitely true. And we do have a choice as to whether or not we allow happiness into our lives. The gloom is lifting, for sure. It does come and go but I’m determined to get rid of it for good. Well-deserved awards, m’dear. Your writing is an inspiration. I love that quote by Sue Monk Kidd. I am tempted to say that happiness is indeed a choice. But I do understand that sometimes we’re overwhelmed by the darkness we’re in, so that the choices we in fact have may not be visible enough, at the moment. Maybe sometimes, all we really have to do is be patient and wait. As if waiting for the storm to pass while we ride it out. For the storm always passes and the sun always comes back to shine. And perhaps, only then would our choices be clear and obvious to us. Actually, all I really wanted to say is…. Congratulations! You deserve it. KAREN – Sue Monk Kidd really is quite inspirational. Thank you for your constant support, Karen. It means the world to me. CHRIS – you are a wise one, indeed. You’re right – it is best to wait until the sun comes out to make those decisions. I need to learn to remember that. Thank you. First of all, congratulations on your award!! Certainly well-deserved. Second, thank you so much for the nod, and for joining me in my humble pursuit. I think just paying attention to the good stuff as you go along is half the battle. EPIPHANY – you are definitely right about that. There is always plenty of good stuff to take notice of. We just need to train ourselves to look for it. I owe you one for posting about this. You have made my week a little brighter. PAISLEY – dare I say it – I think the woman is God. Honestly, such wisdom, such eloquence, you’d have to go far and wide to find someone who even comes close to her. Agree with you completely. DAOINE – thank you so much. That means a lot to me. I love blogging. I have met so many wonderful people – it truly is a world wide web. TEXASBLU – I have met some wonderful, cool people too. I love it!